John W. Morehead has been involved for many years in interreligious relationships and conversations in the contexts of Islam, Mormonism, and Paganism. He is the director of the Evangelical Chapter of the Foundation for Religious Diplomacy, and the editor of Beyond the Burning Times: A Pagan and Christian in Dialogue by Philip Johnson and Gus diZerega (2009). Bee Moorhead has been Executive Director of Texas Impact since 2000, managing every aspect of the organization’s work and answering to a 45-member board of directors. The Texas Impact Board is made up of representatives from the state’s many faith communities. Under Bee’s leadership, Texas Impact has moved from fewer than 1,000 members to more than 20,000 and earned recognition as a national leader in interfaith education and community leadership development. Bee spent eight years as a senior fiscal policy analyst for former Texas Comptroller of Public Accounts, John Sharp. Bee was responsible for the Comptroller’s attention to public policy issues related to health and human services, and she was the chief architect of Family Pathfinders, a unique program linking Texas congregations and civic organizations with families on public assistance. Bee holds a B.A. in Drama from the University of Texas in Austin, and a M.A. in Public Affairs from the Lyndon Baines Johnson School of Public Affairs at the University of Texas. Rev. Deborah Moldow is an ordained interfaith minister committed to assisting in the transformation of human consciousness to a culture of peace through her ministry, international peace work, interfaith efforts, speaking, writing and singing, all part of the movement of awakening humanity. Deborah is the founder of the Garden of Light, an online platform for the emerging global spirituality. The Garden of Light provides a virtual home for a new community rooted in shared spirituality that transcends differences of culture so that it can become visible as a powerful force in uplifting the human spirit. She is Co-Director with Diane Williams of the Evolutionary Leaders circle, a project of the Source of Synergy Foundation that brings together visionaries committed to the acceleration of the conscious evolution of humanity in these critical times. She is also a Core Collaborator at Unity.Earth. Deborah served for more than 20 years as the Representative to the United Nations of the World Peace Prayer Society, which promotes the universal prayer “May Peace Prevail on Earth,” and has traveled the globe to conduct Peace Pole dedications and World Peace Flag Ceremonies sending peace to every nation. At the United Nations, she co-chaired the International Day of Peace NGO Committee and the Values Caucus, and founded the United Religions Initiative multi-faith cooperation circle. Rev. 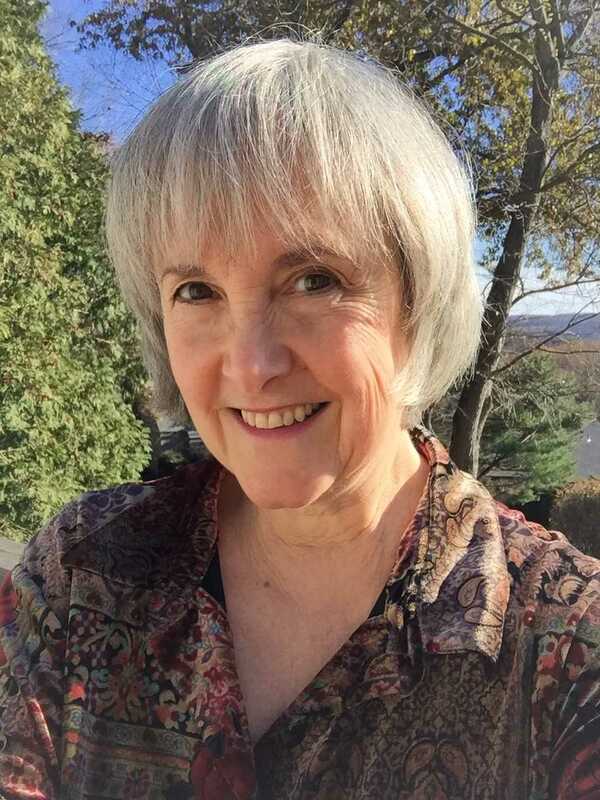 Deborah leads monthly Interfaith Sundays at the Chapel at Croton Falls, has a practice in spiritual counseling and facilitates a local Spirit Salon. Ammara Mohsin is from Pakistan. She currently is pursuing a bachelors in Social Sciences at SZABIST (Shaheed Zulfikar Ali Bhutto Institute of Science and Techology), looking to major in Economics. Writing has always held an appeal for her because it makes her feel that an ordinary person like herself can make an impact on the world and its people. She’s recently taken up debate, and her favorite authors currently are Arundhati Roy and Leo Tolstoy. Keishi Miyamoto is a Japanese Buddhist leader, president of Arigatou International, convenor of the Interfaith Council on Ethics Education for Children and the Global Network of Religions for Children. He is also a member of the World Economic Forum Global Agenda Council on the Role of Faith. Donald W. Mitchell is professor emeritus of comparative philosophy at Purdue University; visiting professor of interreligious dialogue at Sophia University Institute, Florence, Italy; and editor of Claritas: Journal of Dialogue and Culture. He is a founder of the Society for Buddhist Christian Studies, Associate Editor of its journal, and was director of the International Buddhist-Christian Theological Encounter. His work in interreligious dialogue includes dialogues for the Vatican’s Pontifical Council for Interreligious Dialogue (PCID), the US Conference of Catholic Bishops (USCCB), Monastic Interreligious Dialogue (MID), and the Catholic Association of Diocesan Ecumenical and Interreligious Officers (CADEIO). Most recently he organized Pope Francis’s new “dialogue of fraternity,” a Buddhist-Catholic dialogue for fellowship and joint social action in Rome with the PCID and the USCCB. Besides his lifelong work in the Buddhist-Christian dialogue, he spent ten years after 9/11 working on public diplomacy projects with the U. S. Department of State in predominately Muslim countries. Among his many publications are: Spirituality and Emptiness: The Dynamics of Spiritual Life in Buddhism and Christianity (1991); The Gethsemani Encounter (1997); Masao Abe: A Zen Life of Dialogue (1998); and Buddhism: Introducing the Buddhist Experience (2002). Timothy Miner is the executive director of the Council of Interfaith Communities and one of three founders of the Order of Universal Interfaith. He was called to chaplaincy after the events of 9/11 and now serves as a chaplain and chaplain-trainer for U.S. Federal and local law enforcement and disaster response programs. Rev. Miner is a minister for an interfaith-interspiritual fellowship, and he is the content-producer of spiritual information for a world-wide Spiritual But Not Religious community. A background in aviation and meteorology also keep him active in eco-ministry. He has academic degrees in physical and human geography, computer sciences, atmospheric science, and a M.Div. from a Baptist seminary; he is also a graduate of an interfaith seminary program. In January 2013 he will lead the first discussions of one of the world’s largest science societies as it attempts to breach the divide between science and spirituality through integral thinking. Susan Katz Miller, an award-winning journalist, is both an interfaith child and an interfaith parent. Her father is Jewish, her mother is Protestant: she grew up in Reform Judaism. After marrying a Protestant, Miller and her husband decided to raise their children in both religions, in a community of interfaith families. Miller eventually became the Board Co-Chair of the Interfaith Families Project of Greater Washington DC. Miller graduated from Brown University, and began her journalism career at Newsweek in New York. After working in the Los Angeles and Washington bureaus, she moved to Dakar, Senegal for three years. While there, she wrote travel pieces for the New York Times, was tear-gassed in the streets while covering an election, interviewed the President of Senegal for Newsweek International, and wrote Christian Science Monitor pieces from Benin, Togo, the Gambia, and Sierra Leone. On returning to the States, she became a U.S. Correspondent for the British weekly magazine New Scientist. She then spent three years freelancing from northeastern Brazil. After her two children were born, she and her husband settled in the Washington, DC, area, and she founded the first blog devoted to interfaith family communities and interfaith identity, onbeingboth.com, and began blogging at Huffington Post Religion. Miller’s writing has also appeared in Discover, Science, National Wildlife, Health, Moment, Jewcy.com, interfaithfamily.com, and many other publications. Her photographs have been published in the New York Times, the Christian Science Monitor, and International Wildlife. Her interfaith family has been featured on NPR’s All Things Considered, and on the PBS program Religion & Ethics Newsweekly, and she is often quoted as an expert on interfaith families in newspapers and magazines. Susan Katz Miller can be contacted at her website. Rev. Jen Miller is an Interfaith minister, a chaplain, a healer, a writer, an illustrator, and the creative force behind www.AltarNativeArts.com. Rev. Miller has designed and created America’s original line of Pop-Up Care Cards, including AltarNative Angels, a growing selection of faith-specific prayer cards, and secular cards for wellbeing. Rev. Miller was ordained in 2016, completed four units of CPE in December, 2017, and currently works as Lead Chaplain (On-Call) for George Mark Children’s House in San Leandro, CA (The first stand-alone hospice for children in the US). Donald E. Miller is the Leonard K. Firestone Professor of Religion at the University of Southern California and co-founder and director of strategic initiatives of the Center for Religion and Civic Culture at USC. Professor Miller is a sociologist of religion with an interest in global religious trends, new patterns of religious practice, and innovative organizational responses to cultural change. He is the author, co-author, or editor of ten books, including Spirit and Power: The Growth and Global Impact of Pentecostalism, ed. with Richard Flory & Kimon Sargeant (Oxford University Press, 2013); Finding Faith: The Spiritual Quest of the Post-Boomer Generation, with Richard Flory (Rutgers University Press, 2008); GenX Religion, ed. with Richard Flory, (Routledge, 2000); and Reinventing American Protestantism (University of California Press, 1997). He is currently completing a book on the Rwanda Tutsi genocide based on 260 interviews with survivors. Dr. Jay Michaelson is vice president of the Arcus Foundation and the author of five books and two hundred articles on religion, sexuality, ethics, and contemplative practice. His book, God vs. Gay? The Religious Case for Equality (2011), was an Amazon.com bestseller and Lambda Literary Award finalist and his most recent book, Evolving Dharma: Meditation, Buddhism, and the Next Generation of Enlightenment was published in 2013 by North Atlantic Books. His other books include Everything is God: The Radical Path of Nondual Judaism (2009) and Another Word for Sky: Poems (2007). Jay is a contributing editor to the Forward newspaper and associate editor of Religion Dispatches magazine, and his articles appear in The Daily Beast, Salon, The Huffington Post, and other publications. The Arcus Foundation is a leading global foundation advancing LGBT equality. Prior to Arcus, Jay was the founder of Nehirim, a national LGBT Jewish community; the Religious Liberty Fellow at Political Research Associates, a progressive think tank; and co-founder of Eshel, an Orthodox Jewish LGBT organization. Jay’s work in this area has been featured on CNN, NPR, and in the New York Times. In 2009, Jay was included on the Forward 50 list of the fifty most influential American Jews, and in 2010 he won the New York Society of Professional Journalists’ award for opinion writing. His degrees come form Yale, Hebrew University, Columbia, and Sarah Lawrence. He has held teaching positions at Boston University Law School, City College of New York, and Yale University. Paul Louis Metzger has been involved in interreligious dialogue with various religious traditions, including Islam, Buddhism, and Paganism. Dr. Metzger is professor of Christian Theology and Theology of Culture, and director of The Institute for the Theology of Culture: New Wine, New Wineskins, at Multnomah Biblical Seminary/Multnomah University. He is also a Charter Member of the Evangelical Chapter of the Foundation for Religious Diplomacy. The Institute recently completed a year-long series of exchanges between Evangelical Christians and Zen Buddhists through a grant received from the Association of Theological Schools. Dr. Metzger’s most recent book is Connecting Christ: How to Discuss Jesus in a World of Diverse Paths (2012). Leslie Gabriel Mezei is a writer, editor, speaker, and an activist organizer for Peace, Unity and Pluralism. He founded the Interfaith Unity News ten years ago. As an interspiritual minister, Rev. Mezei conducts the Universal Worship Service. He has been on a universal Sufi spiritual path for many years and spent a month at a Himalayan Yoga Meditation Society Ashram in India, most of it in silence. He practices Buddhist mindfulness meditation and follows creation spirituality and the teachings of the Hassids of Eastern Europe. Leslie is a Holocaust survivor of the Second World War. He has responded to the current crises of our world by facilitating Awakening the Dreamer, Changing the Dream symposiums, offering outstanding video material and interactive experiences to bring about a human presence on Earth that is environmentally sustainable, socially just, and spiritually fulfilling. With his wife Kathy, he enjoys five children and ten grandchildren. In the ivory tower, Franz has been president of the American Academy of Religion, Western Region and chair of the Psychology, Culture and Religion Group, both regionally and nationally. He has published numerous articles and chapters on contemporary Buddhism and is book review editor of the Journal of Global Buddhism. Franz teaches religious studies at California State University, Los Angeles. Down from the tower, Franz is director of the Forge Guild for Spirituality and Social Change. He has written five books applying Buddhism to everyday life, most recently, Being Buddha at Work (2012). He continues to inquire into Buddhism and psychology and says “Hi!” to his daughter, Pearl. Franz is currently working on a historical-spiritual-detective novel. Prayers might be in order. Father Gary Meier is a Catholic priest and co-founder of North Grand Neighborhood Services (NGNS). It was begun in June 2005 by area residents, parishioners, and business leaders voicing their need for affordable housing and community programs. Our mission is to develop low income housing and community programs for the stabilization of the North Grand neighborhood. Solomon Project was created to build affordable housing in the North St. Louis community. There have been a total of 28 developments. The percentage of abandoned and neglected homes in the area has decreased from 42 percent in 2005 to less than 10 percent in 2013. Every house that is renovated or built helps another family realize their dream of home ownership. Angel Baked Cookies, another project of NGNS, was created in 2007 with the goal to empower area youth with the skills necessary to own and operate a small business. We currently employ 16 youth and two leaders. In 2008, the St. Charles Lwanga Center, an agency of the Archdiocese, awarded Fr. Meier, a lifetime achievement award for the work he does in North St. Louis through North Grand Neighborhood Services and Angel Baked Cookies. Father Gary served as dean of North City from February 2010 through June 2012, working as the Archbishop’s representative in the North City Deanery. Akash Mehta lives in Brooklyn, New York, and is on the Editorial Board of KidSpirit Magazine. Brian D. McLaren is an author, speaker, activist, and public theologian. A former teacher and pastor, he is an ecumenical global networker among innovative Christian leaders. From 1978 to 1986, McLaren taught college English, and in 1982, he helped form Cedar Ridge Community Church, an innovative, nondenominational church in the Baltimore-Washington region (crcc.org). His books include The Church on the Other Side: Doing Ministry in the Postmodern Matrix (1998), Finding Faith (1999), A New Kind of Christian (2001), The Story We Find Ourselves In (2003), The Last Word and the Word After That (2005), Finding Our Own Way Again (2008), and A New Kind of Christianity (2010). His most recent book is Why Did Jesus, Moses, the Buddha, and Mohammed Cross the Road? – Christian Identity in a Multi-Faith World (2012). 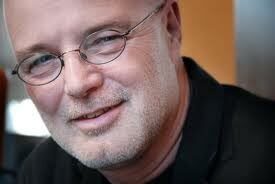 In conferences around the world, on TV, and in the press, Brian McLaren is a champion for a Christianity grounded in discernment, compassion, and inclusiveness. Paul McKenna is coordinator of the Scarboro Missions Interfaith Department in Toronto, Canada. His work has included creating the Golden Rule Poster featuring the Golden Rule scripturally and symbolically in 13 religions. This multifaith poster, now translated into seven languages, has achieved international renown as an educational and interfaith resource. With graduate degrees in theology and religion, he has created a number of do-it-yourself, educational, and curriculum resources supporting the Golden Rule and interfaith dialogue. The poster and its supportive material is available for free at the Scarboro Missions website. Paul has been an activist in Toronto’s interfaith community and served as a trustee of the North American Interfaith Network. Nancy McKay, M.Div., is a minister and spiritual director in the United Church of Christ and spent ten years in parish ministry. Today she provides one-on-one spiritual direction and teaches a laying-on-of-hands and prayer healing process in churches. “Love heals,” she says, “and we get to cooperate with the source of love!” She is one of the founders of the Chaplaincy Institute-An Interfaith Seminary and Community in Berkeley, where she taught spirituality. Nancy attended the first Healing Journeys conference in 1994, in Monterey, California, while she was still in treatment with an experimental vaccine for metastatic melanoma. What she learned and felt there supported her hope for a full recovery. She is now cancer free. Patrick McInerney is a Columban missionary priest. He was assigned to Pakistan for more than 20 years. He has a licentiate from the Pontifical Institute for the Study of Arabic and Islamics in Rome (1986), a Masters in Theology from the Melbourne College of Divinity (2003), and a PhD from the Australian Catholic University (2009). Father McInerney is director of the Columban Mission Institute, coordinator of its Centre for Christian-Muslim Relations and a staff member of its Centre for Mission Studies. He offers courses on Interreligious Dialogue and Islam at the Catholic Institute of Sydney and the Broken Bay Institute’s Centre for Mission and Culture. He is a member of the Australian Catholic Council for Ecumenism and Interreligious Relations (ACCEIR), a board member of the Australian Catholic University’s Centre for Inter-religious Dialogue (CID), and on the executive of the New South Wales state meetings of Religions for Peace (RfP). In 2011 he was awarded the title of Honorary Fellow of the Australian Catholic University. He attends interfaith and multi-faith conferences and gives talks on Islam, Christian-Muslim Relations and Interreligious Relations to a wide variety of audiences.